3. 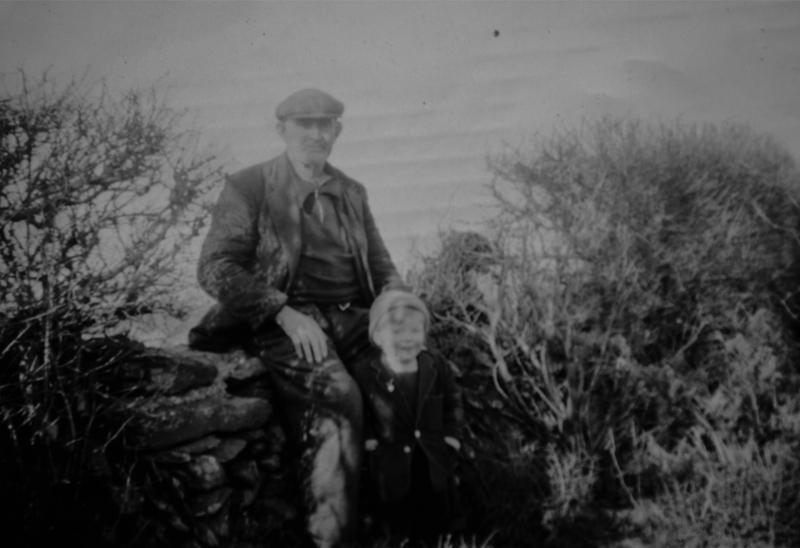 The author Gerry O'Mahony as a three year old, with his paternal grand-father Michael O'Mahony. 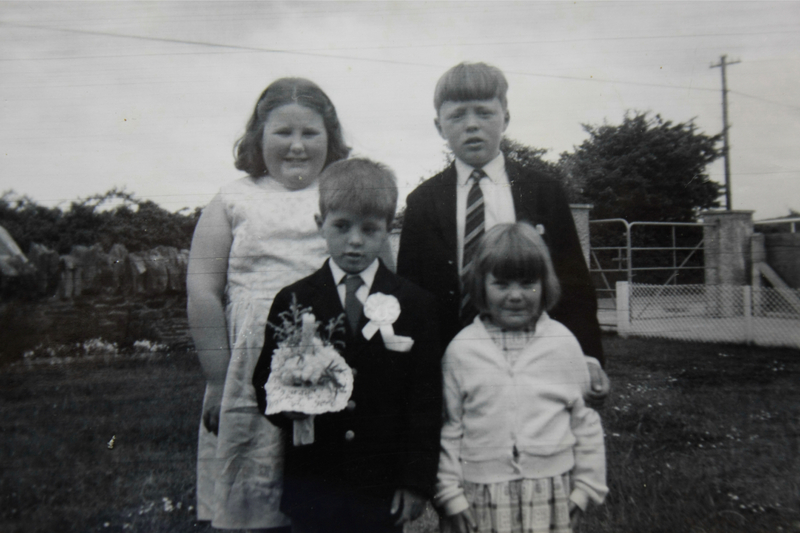 Photo taken in Monatrea, Co. Waterford in 1963. 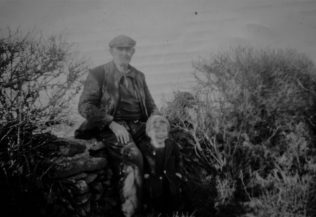 Our house was perched on top of what was known then, and still is in some quarters, as ‘ The Top of Monatrea’; one of the last physical coastal outcrops of west county Waterford. A place where only the generations that have lived there could hold any love for; such is the seemingly inhospitable nature of it to anyone not from the area. To us though it was our home, and always will be to those of us left that lived there. Less and less of those now with every passing year. A place where to the east of us was the last few miles of the Waterford coastline and to the west was the town of Youghal, whose lighthouse we could see every night as the sun set behind it. I am one of the Mahonys of Monatrea as we were and are known; a family who had lived in that part of west Waterford since at least the 1850s. Lived would be a true description; we never bettered ourselves as each generation passed, we never increased on our two acre holding that was tacked onto the side of the houses there, we never ventured too far for too long. We existed there. Basic education was the one thing that was always paramount in my father’s hierarchy of important things in life, the ability to ‘do your sums’ and ‘know how to write’ was considered enough; no real need for anymore than that. And so began my foray into the world of education in September 1966. We walked. And walked. And walked. Four miles or so to Kinsalebeg National School. I couldn’t keep up to my mother during some of it and I have no idea how long it took. Kinsalebeg was the smaller part of the greater parish of Clashmore Kinsalebeg; it had it’s own school, it’s own Roman Catholic church and graveyard and it’s own Post Office and a shop or two. It still didn’t have the title of village though, that was something it never had and still does not have to this day. We had no form of transport other than our feet or a bicycle to get us around and on my first day in school it was our feet that carried us across the fields around our house to the boreens above it and then from that boreens to the proper road that would bring me and my mother down the four miles from the top of Monatrea. We wound our way down past houses that now are ruins. We met people on the road who are now long gone. We met other mothers bringing their young boys and girls to school for the first day. Fathers seldom did this, it was woman’s work. We passed along by the Ferrypoint, the spit of land that shoots out across the River Blackwater like a policeman’s hand; trying to redirect the flow of the raging river, A pointless objective; the river is still flowing by and still eating into the Ferrypoint bit by bit every year and will continue to do so until the small peninsula is no more. We came to the Five Cross Roads where roads from Dungarvan, Ardmore, Monatrea, Kinsalebeg and Ferrypoint converge, turn left and we were nearly there. Past St. Bartholomew’s Well and around the corner to St. Bartholomew’s National School. For the first day. This was my second attempt at attending school having started the year before, not liked it and refused to go again after the first day or two. Second time around I was more than willing to go as my mind was beginning to get more inquisitive about the world around me and my parents probably got fed up of not being able to answer some of my more idiotic questions. 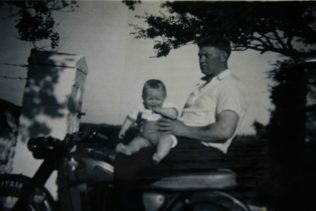 There were eight of us starting off that day, eight boys; the other seven were all younger than me, some by only a few months some by almost a full year. All were from the immediate area and all the families in question would have known each other well enough. This was an Ireland where everyone really did know their neighbours. Going to school at six years of age would be thought of as ludicrous today but in the 1960s it would not have been that unusual. Rural families were never in any hurry to send their children to school back then and there would never have been any problem with over subscribed schools or such. 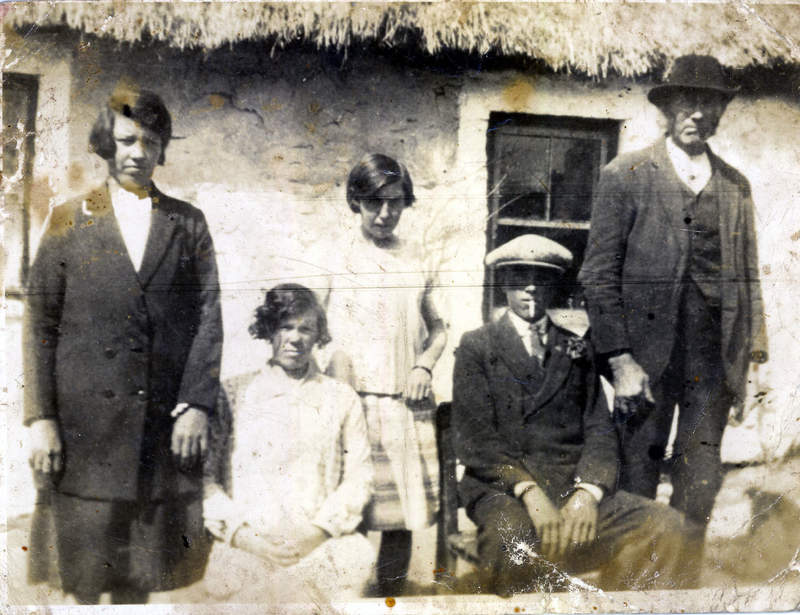 Many boys and girls would have been thirteen or fourteen by the time they reached sixth Class, and for some that would have been the end of their education; though by the time my class reached Sixth the majority of us were heading for Secondary education in either Youghal or Dungarvan. In 1966 England won the soccer World Cup at Wembley. They beat what was then the country of West Germany in the Final on a 4-2 score-line, and the game was played under the now historical towers of the original Wembley Stadium. It is said that it was a superb Final and that the win lifted a nation, which was in danger of slipping down the world rankings in the sport if success was not achieved. I have only ever seen brief highlights of that game, or any game from that World Cup, and in 1966 I knew nothing of Alf Ramsey, Bobby Moore, Geoff Hurst or the Charlton Brothers; I didn’t even know what the game of soccer was. Looking back, I’m not even sure if we had a ball at home, I’ve a feeling we didn’t; my father was never too interested in sport and getting a ball for us may not have been high on his list of priorities. Football boots? We were lucky if we had shoes! All we knew in the schoolyard was the game of Gaelic Football; catch, kick and be done with it. Football boots? We were lucky if we had shoes! I remember one young lad in a class or two ahead of me who would arrive to school more often than not brogued up in a pair of Wellingtons. He would play football with them on and the squelchy sound that was heard whenever his rubber boots thumped the ball often made me wonder if his feet were sore from having just a small layer of rubber between him and the sodden leather ball we had to play with. For those of us being taught in the first room along the hallway of St. Bartholomew’s National School in Kinsalebeg our teacher was Mrs. Barry and a gentle soul of a lady she was, Lord Rest Her. She came from nearby Youghal and she would journey out every school day in a little grey Austin car, which puffed as much smoke as an old steam train. It was like Puff The Magic Dragon. She would have come across the old Youghal Bridge up until 1963 and from then on her little grey Austin would slowly make it’s way across the new Youghal Bridge a few hundred yards further up the river Blackwater, the bridge’s massive concrete columns supporting a span taking an increasing number of cars, motorbikes, trucks and tractors every day. The little pudgy Austin with the put-put exhaust sound would then travel a few miles further along what is now the Cork Waterford N25 to the junction at Crosby’s Cross at Piltown, where she would take a right turn to Kinsalebeg National School, half a mile down just beyond the local Catholic Church. Mrs. Barry would first travel past the school in the Monatrea direction and do a u-turn further down the road before coming back up and parking outside the school. That way she was faced in the right direction for the return journey later in the day. In the stile by the front gate she would go and up the few steps to the doorway, to take on the country children of Waterford for another day. The woman had an almost religious routine when it came to lighting the fire, which was in the classroom; there would be a few kindling sticks, a bunch of newspapers and then for good measure, a good dollop of sugar tossed on top of the lot. She would then take out the Maguire and Patterson matchbox, strike a match and away the little sticks and papers would burn, aided and abetted by the sugar being crystalised as it did its work. Like her life depended on it she would then start to put on some coal and the odd bit of turf as quick as her hands could move. The sight of the fire crackling away as we were taught our lessons is still with me, Mrs. Barry and her bag of sugar etched in my mind more than what she taught us on our first day. 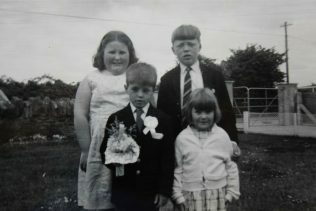 Born on August 8th 1960 to Maurice O’Mahony and Mary Jo O’Mahony (nee Twohig). 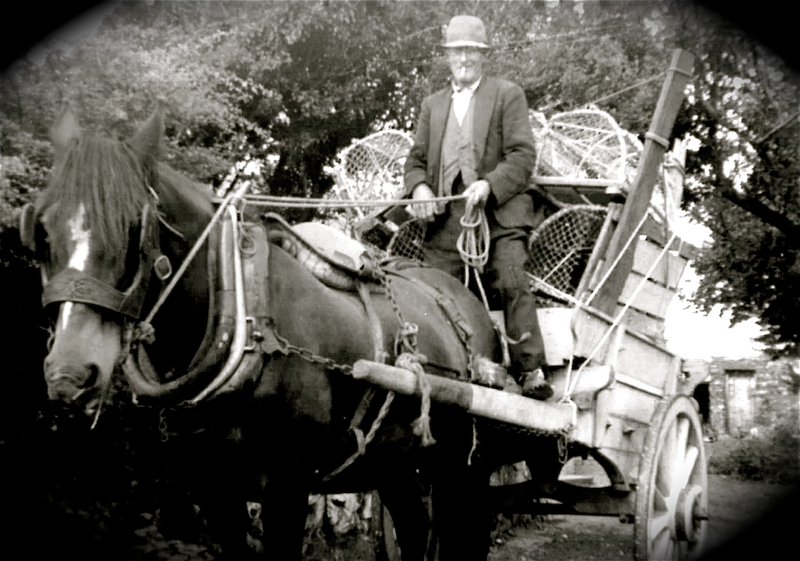 Raised for first eight years in Monatrea, Co. Waterford before moving to an area called Kinsalebeg within the same parish. Lived there until 1991 when he moved to Ardmore, Co. Waterford upon marrying Elizabeth Spillane from Cork. Still lives in Ardmore and himself and Elizabeth have a family of six children ranging in age from twenty years down to five years of age. Unemployed but very active within the community where he runs a community news page on Facebook Ardmore Notes , is a keen photographer http://www.gomahony.blogspot.ie/ , and contributes a local news column to two local weekly newspapers. Re-entered the education world in 2008 after a thirty-three year gap and initially studied Business and Administration. This past May (2012) has just completed a one-year course in Creative Multimedia at LIT campus in Clonmel, Co. Tipperary. Has always had an interest in writing and in early 2012 began to earnestly gather together stories and photographs from his childhood, which it is hoped, will form the basis for a memoir, which he hopes to publish in mid 2013.